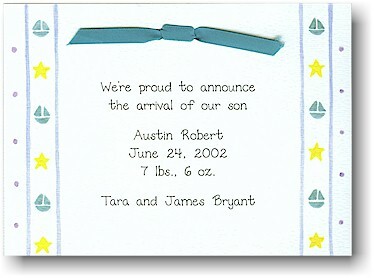 White card with light blue stripes on either side that have teal sailboats, yellow stars and blue polka dots. Card is shown with OPTIONAL teal ribbon (Teal Satin R-07). White card with light blue stripes on either side that have teal sailboats and yellow stars.